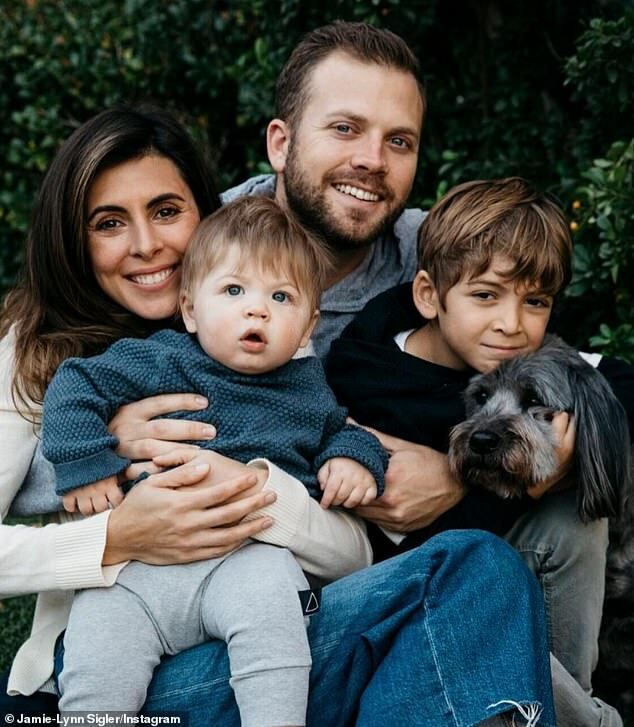 Jamie-Lynn Sigler was just 20 when she was diagnosed with Multiple sclerosis. Now 37, the former Sopranos star battled her illness privately for many years, before making her health issues public three years ago. And now the actress is opening up about how her illness affects her most important role - that of a mother. 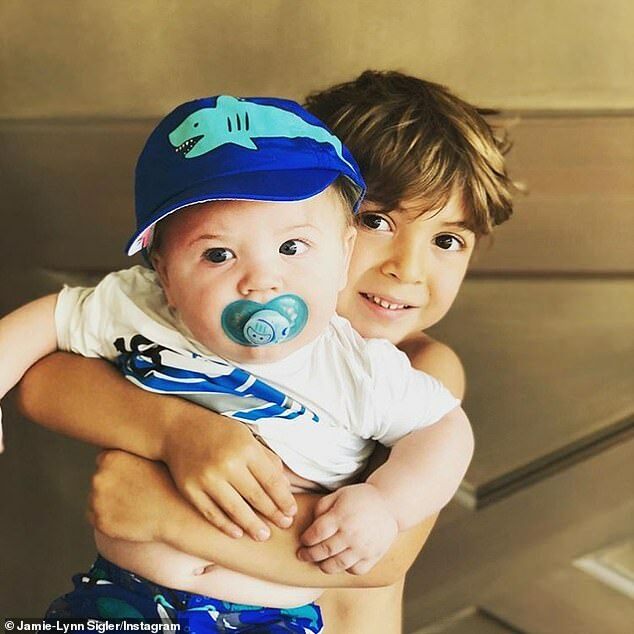 Talking to Scandal alum Katie Lowes in next week's episode of Shondaland's podcast Katie's Crib, Jamie-Lynn admitted she struggles with the limitations the disease imposes - especially when it comes to her young sons, one-year-old Jack and five-year-old Beau. 'Sometimes I feel guilty or I feel bad because I don't want to put my s**t on [Beau],' she explained. Luckily, Beau simply accepts his mother as she is, never questioning why she can't always join in with his activities. To make sure their children don't miss out, Jamie-Lynn and her baseball player husband Cutter Dykstra have enlisted extra help. 'I just started to have these worries that my disability would slow him down too,' she said.